OOC Yes this is my take on some of the Minutes of the CSM summit. Yes it is done in character. “Sheeple never wake up” Free growled. “Ah but we is not all sheep, some of us just like wearin the wool. The powers dat be asked what the Council thought was the most important to consider, this time out. “Ah, patience, mon petit, patience. First thing up after the intro and ground work was abyssal space. They is still trying to get a hand on the metrics for it but there was talk about better recycling of bad plasmid results. Nice to see them thinking ecological like. But then came one o the big one, Wardecs. In the EVE Leadership meeting the CSM was presented with numbers resulting from research into the state of war declarations in EVE and those numbers quite starkly showed how asymmetric the situation is, and how war declarations allow a small number of players to negatively affect a huge number of people, with low risk. These numbers may be discussed further by CCP at a later date. I am, as usual, breaking my commentary up into chunks so I can get stuff out while I chew on the next bit. 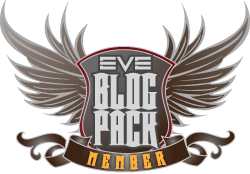 This entry was posted in Uncategorized and tagged CSM, eve online, Free, In character, Mike, minutes, war. Bookmark the permalink. Exciting times. So war-dec is under the microscope? It is one thing that it is being looked at, it will be something else if there is an effective change. Outright removal leaving me with a nagging feeling for this old bear. Particularly some of the voices now against war. Let me paraphrase Red Cloud: the Goons made many promises and never kept any but one; they promised to ruin your game and they did. So, not missing this Mike? “Stiffen the sinews, summon up the blood,” Don’t blame you.